The story of the infamous unreleased superhero movie. 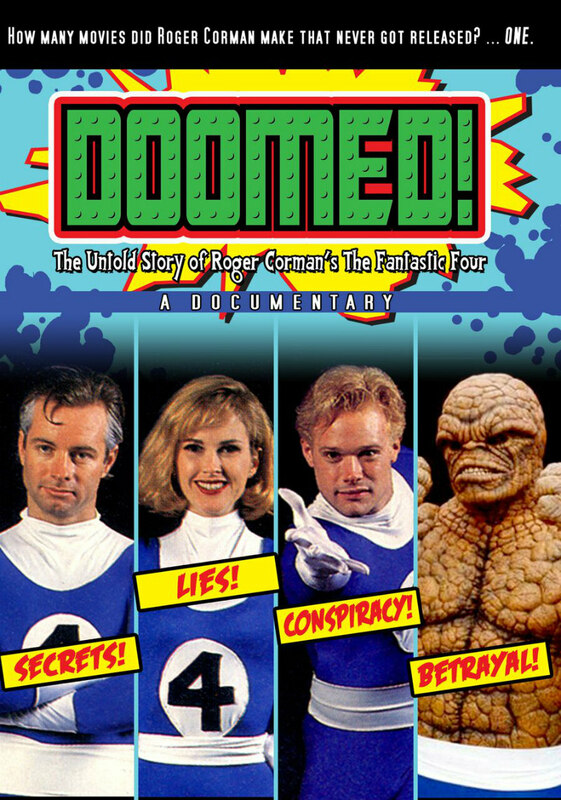 Marty Langford's doc gathers most of The Fantastic Four's key players (including Roger Corman, holding his cards close to his chest throughout) in an attempt to get to the truth of why the movie was shelved. In an era in which the global box-office is dominated by comic book adaptations, it's easy to forget that prior to this new century, superheroes on screen were largely an embarrassment. Every Richard Donner's Superman or Tim Burton's Batman was countered with a Superman IV or a Trial of The Incredible Hulk. For comic fans wishing to see their heroes on the big screen, the '90s was a rough decade, offering a series of sub par screen treatments from Albert Pyun's Captain America to Joel Schumacher's Batman & Robin. But the most infamous '90s superhero movie of them all, 1994's Roger Corman produced The Fantastic Four, didn't even see the light of day. Marty Langford's doc gathers most of that film's key players (including Corman himself, holding his cards close to his chest throughout) in an attempt to get to the truth of why the movie was shelved. 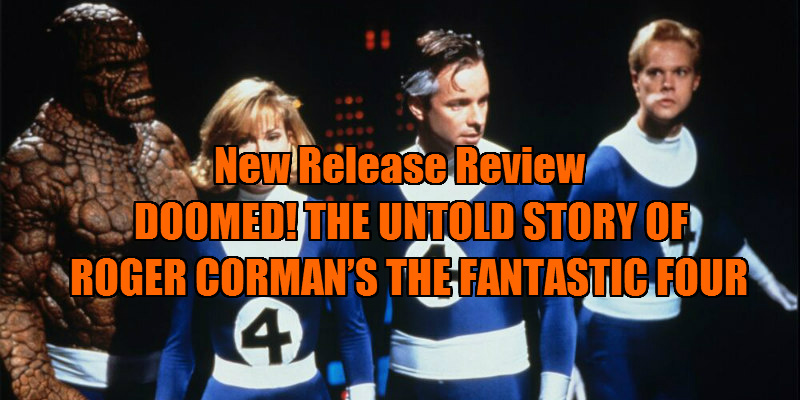 The popular theory is that Corman made the movie with no intention of releasing it, a detail he neglected to alert the film's cast and crew to. Why make a movie knowing you won't release it? Well, that's where things get murky, and while the doc fails to give us a clear answer to this question, most believe that Corman knew a major studio was sniffing around the property, and subsequently made a pretty penny by flogging the screen rights, paid to bury a movie considered so shoddy its existence could potentially ruin any future big budget renditions of the popular Marvel comic. The modern superhero screen genre has come to embody the worst of Hollywood cynicism, with each movie existing merely to sell the next in line, but for all its faults, this Fantastic Four is a movie made with undeniable love. Its director, Oley Sassone, and its stars recount here how they pumped their own time and money into a doomed attempt to deliver a movie they felt proud of to the fans. Prior to the film being shelved, the central cast, led by Alex Hyde-White (who played Reed Richards), travelled the US attending comic conventions and children's hospitals clad in their ill-fitting outfits, signing stills and drumming up enthusiasm among a rabid pre-internet fanbase. When news of the film's cancelled release broke, Sassone refused to walk away quietly, stealing the film reels from Corman's studio in a futile attempt to complete it on his own terms. To this day, those involved still treat it like a lost child, with actor Joseph Culp claiming he would gladly redub his dialogue, much of it rendered indecipherable by his Doctor Doom mask. 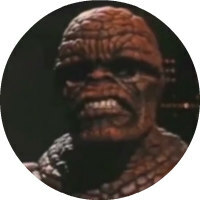 But as we know, all this hard work and dedication ultimately led nowhere, and while the film can be viewed in low quality on YouTube, an official release seems unlikely. Yet with critical failures like Batman V Superman and Suicide Squad plunging comic book movies into disrepute, perhaps now is the ideal time to finally unleash it on the public. Until then you'll have to settle for your VHS-ripped bootleg copy and this entertaining and insightful doc. Doomed! will be available on VOD October 11th and DVD on December 20th.